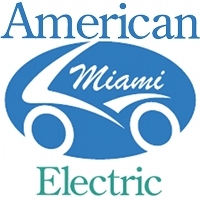 Join us and connect about going green in Aventura. We’d like to hear ways you or your business are taking steps to go green. We’re looking forward to highlighting this progress, as well as sharing articles about green living. Stanford researchers seek 'Holy Grail' in battery design:In a paper published in the journal Nature Nanotechnology, researchers at Stanford University report that they have taken a big step toward accomplishing what battery designers have been trying to do for decades - design a pure lithium anode. Volvo Car Group Makes Conventional Batteries a Thing of the Past:Volvo Car Group has developed a revolutionary concept for lightweight structural energy storage components that could improve the energy usage of future electrified vehicles. Tesla Model S Achieves Best Safety Rating of Any Car Ever Tested in the U.S.:Independent testing by the National Highway Traffic Safety Administration (NHTSA) has awarded the Tesla Model S a 5-star safety rating, not just overall, but in every subcategory without exception. Pure Electric BMW i3 Premieres in New York, London and Beijing:The BMW Group debuted the series version of its innovative electric vehicle, the BMW i3, simultaneously in New York, London and Beijing on Monday. Smith Electric Vehicles to Open Manufacturing Facility In Chicago:Mayor Rahm Emanuel and Smith Electric Vehicles announced today that Smith will open an electric vehicle manufacturing facility in Chicago, creating hundreds of direct and indirect jobs and boosting the already rapidly growing battery and electric vehicle sector in the City.